Yesterday we carried on a discussion about the use of so-called “charity” to starve or eliminate one’s competition. We also mentioned what seemed like a strategic donation aimed at affecting a vote on OOXML. Two days ago we mentioned Microsoft's voyage to Europe, which includes Bill Gates and a Microsoft pet analyst, Gartner. 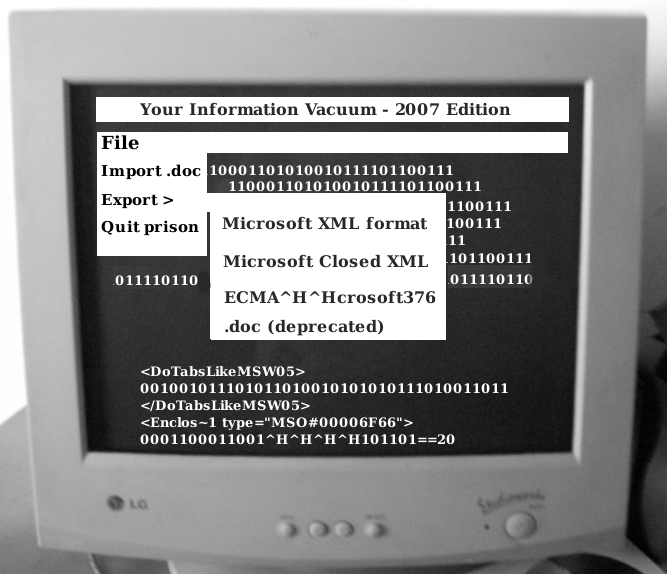 It happens to have a lot to do with OOXML, so the following new article struck a nerve. Lobbying of ISO delegates by Microsoft and its rivals has been fierce before the final round of voting. Microsoft’s co-founder, Bill Gates, planned to speak Wednesday to 403 European government representatives attending the Berlin conference, where he also planned to announce that the company was helping finance a new computing center in Ljubljana, Slovenia. The center will work to create and upgrade government Web portals on the Balkan peninsula.